For years (literally dating back to the d20 Saga Edition), David Villegas, Chris Witt, and Phil Maiewski have been running the Order 66 Podcast about Star Wars Roleplaying and managing the broader d20Radio and Gamernation community. Their podcast is an invaluable resource to any gamemaster, as is the more recent and Genesys focused Dice Pool Podcast (also part of the d20Radio network) from GMs Hooly, Huzz, Flano, and Kaitlin. 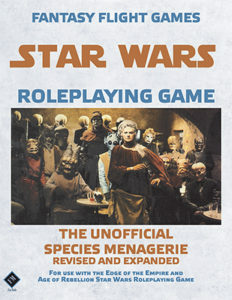 Sterling Hershey is one of the developers of both the Star Wars Roleplaying game lines and the Genesys Roleplaying Game. 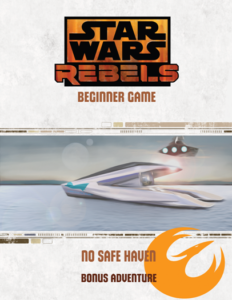 His blog includes "Star Wars Wednesdays," posts that mostly focus on Star Wars and Roleplaying (though also, more recently, Genesys and its settings). Blogger and forum member who's been around since (I think) the very beginning with the launch of Edge of the Empire in 2013. Also the principal author of the Unofficial Species Menagerie, a collection of playable species from before the published game line was as large and expansive as it is now. 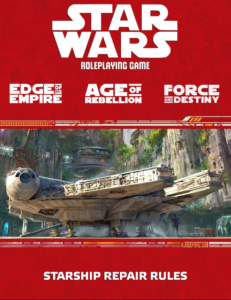 Another long running blog with tons of specific content for Star Wars Roleplaying, as well as a number of PDF supplements for the game. 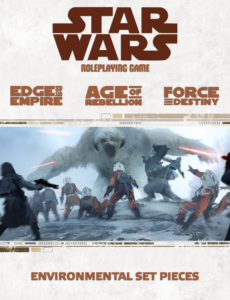 A Star Wars Roleplaying blog providing extensive tables for inspiration and creative content for use in your games. 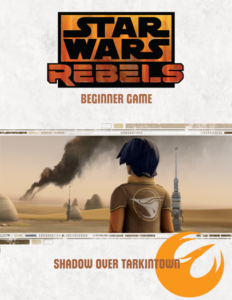 A blog focused (like this one) on resources of use to gamemasters. Of particular use are his many random generators for different in-game entities. 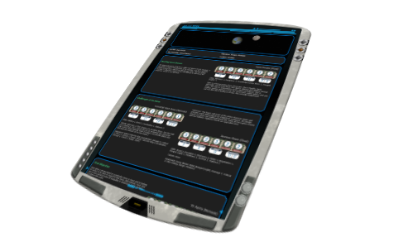 He has most recently released a multi-generator, which allows random generation of quests, weapons, and adversaries from the same page. GM Phil of d20Radio's personal blog. Among other projects, Phil has produced a Genesys setting for the Fallout universe. 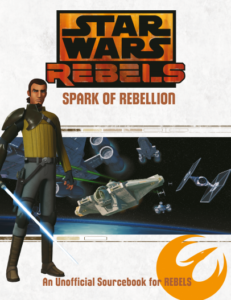 Subreddits for both the Genesys RPG and Star Wars Roleplaying are managed by the community. The fan encyclopedia of all thing Star Wars. Includes searchable information, high resolution versions for download (PDF or JPG). 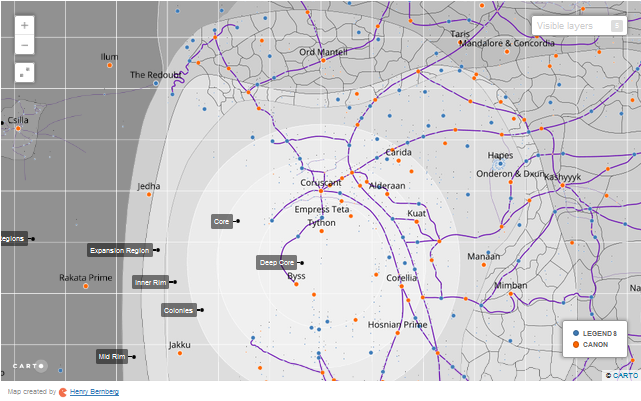 The author, Henry Bernberg, updates the map pretty consistently, adding new "canon" planets and visually distinguishing them from old "legends" information. A very useful web app to input stats for each combatant and initiative roles, dynamically tracking both during combat. The website also contains a few other useful rules reference pages. 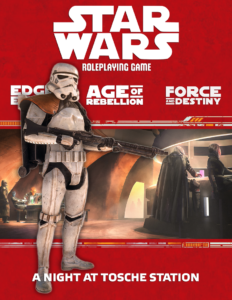 This site hasn't been updated in a while, but it remains an extensive index of gear and adversaries published in Star Wars Roleplaying. Note that for full stat blocks of many items, you will still need to purchase the books from FFG. Most of these links are collated from the 'Support' section of the Genesys product page. Each of the 3 game lines' product pages contain links under its 'Support' section to free adventures, pregenerated characters, and more. The free adventures are sequels to those available in each line's Beginner Game.